“Drops of Life”. 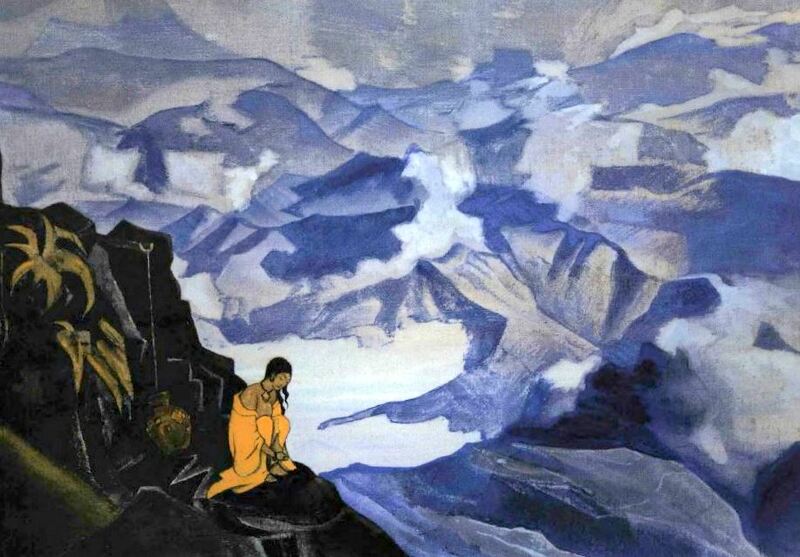 From Nicholas Roerich Museum, used by permission. While on a three-year retreat, Lama Palden Drolma began to see that psychological methods could be helpful for Western Dharma practitioners. Some years later, she became a licensed psychotherapist. She speaks to Jaffa Elias about integrating her work with her experience of teaching, studying and practicing Dharma. Through Dharma study and practice, the path to complete liberation, we begin by realizing that we are never going to be satisfied through dependence on phenomena – other people, our homes, jobs, body, etc. – as they are impermanent and not ultimately capable of giving us refuge. It is only the Three Jewels that are capable of giving us refuge. As practitioners we often come up against our own negative habitual patterns. Many varieties of Dharma practice are designed to help us purify and release these patterns. At the same time, the psychological practice of direct inquiry into our conflicting emotions could also be helpful. Some people have the good karma to work with obscurations purely from a Dharma perspective, but many of us need to look at these things psychologically, find out what’s going on and try to unravel it. If our emotional turmoil and/or behaviors are not getting transformed through our practice, it means that there’s some kind of big knot around which some psychological work may be needed. Through lifetimes of practice these habitual patterns are going to get cleared up. If we’re talking expediency, however – and as Vajrayana practitioners we want to clear our own issues out of the way so that we can use the practices more fully and completely – then a psychological approach may be helpful.